SIR offers a range of publications in print and online to meet our members' varied needs. From scholarly research, to breaking news, to in-depth analyses, SIR publications deliver to society members the details they need to stay ahead of the curve in interventional radiology. The Journal of Vascular and Interventional Radiology(JVIR) is the official scientific journal of the Society of Interventional Radiology. For more than two decades, this peer-reviewed journal has been the preferred reference of interventional radiologists, radiologists, cardiologists, vascular surgeons, neurosurgeons and other clinicians who need current and reliable information on every aspect of vascular and interventional radiology. Visit the journal website. You can find other regular updates, reminders and links to helpful related resources on the JVIR page of this website. SIR’s newsletters, SIR | Guidewire (2 issues/month) and Washington Interventionalist Report (1 issue/month), are the voice of the society, keeping members current with timely information from the Hill, in the field and within SIR. 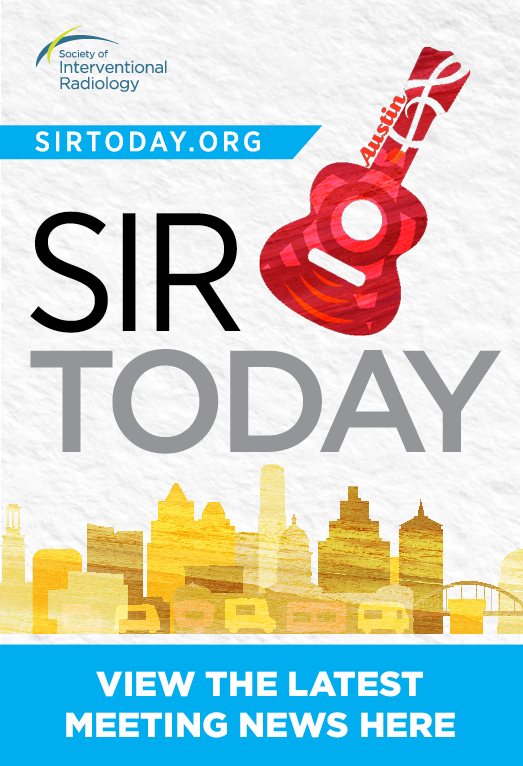 SIR Today is the show daily newspaper for the SIR Annual Scientific Meeting. Visit the site for exclusive meeting coverage, program updates and all the latest annual meeting news. 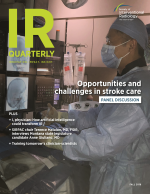 IR Quarterly delivers quality reporting on practice management, political advocacy, and the latest specialty news and information. Each 40-page issue explores the issues that are important to you—how to market your clinical practice, meet MOC requirements at each stage of your career, avoid potential legal pitfalls and much more. Visit the magazine website. The SIR + SIR Foundation Annual Report highlights the year's top accomplishments on behalf of the society's members and the global interventional radiology community. A helpful tool for educating referring physicians, hospital administrators, members of Congress and others on the specialty's most pressing issues, each report features multimedia content, links to resources and more that help tell the story of IR. Visit the annual report website. The latest installment in SIR's popular FAQs in Interventional Radiology series offers top pearls and in-depth Q&A from the faculty of 20 SIR 2018 workshops. Available in print or e-book.